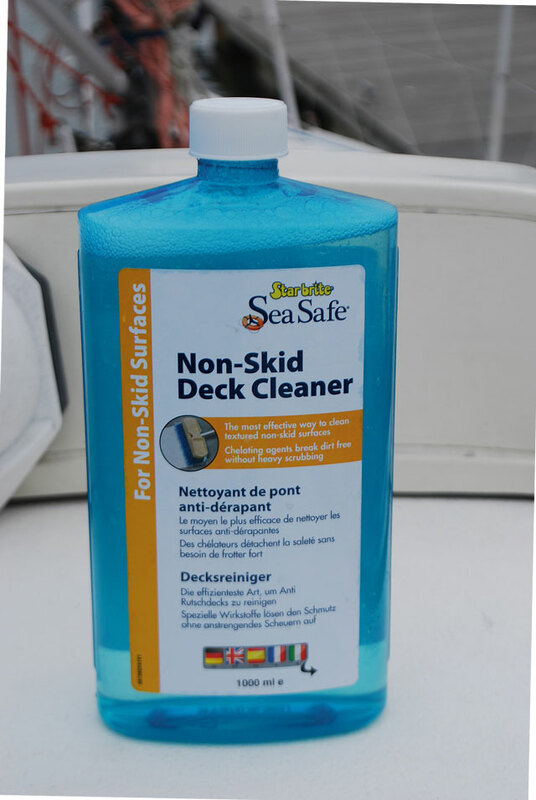 After a winter ashore being trampled upon by muddy, dusty boots, your boat’s decks are probably in need of a deep clean: but trying to remove dirt and grime from the recesses of a non-slip deck moulding can be difficult. alternatives – and set to work cleaning a moulded non-slip deck and a deck that had been painted with International’s Interdeck deck paint. The products we chose were a representative sample of those available, but if we missed one that you have found works well, let us know! What the instructions say: Wet the deck, before squirting the product neat onto the deck and distributing it with a deck brush. Leave for 2-3 minutes for the ‘chelating agents’ to lift the dirt from the non-slip surface, before agitating with a deck brush and rinsing off. It leaves a non-slip, protective coating. What we found: Applied as directed, the cleaner went to work and foamed well. A good scrub before rinsing off improved its effectiveness – but it needed less effort than the other products on test to get a good result. 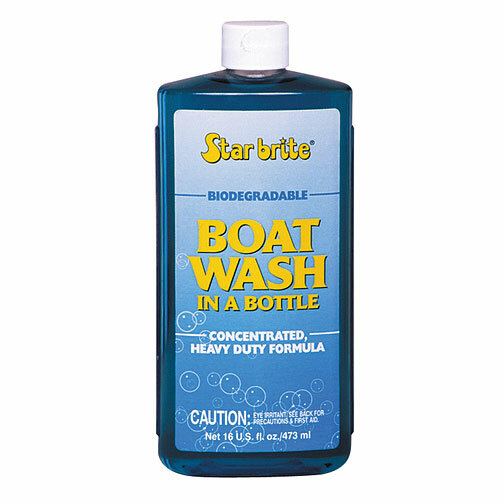 We used most of the bottle to clean an 8.5m (28ft) boat, so it does work out as quite expensive. It was effective on both the painted and moulded decks. 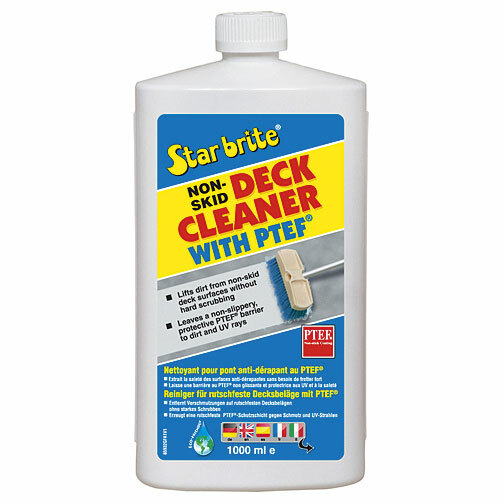 What the instructions say: Application was the same as for Starbrite’s PTEF product. We could discern no noticeable difference between the two products once we’d rinsed them off the deck. Both did a good job of cleaning our test areas with minimal effort, and left behind a good, non-slippery surface. We found that the longer it was left to work on the deck, the more dirt it lifted – and repeat applications on stubborn stains helped. It was effective on both the painted and moulded decks, but used neat we went through it quickly. 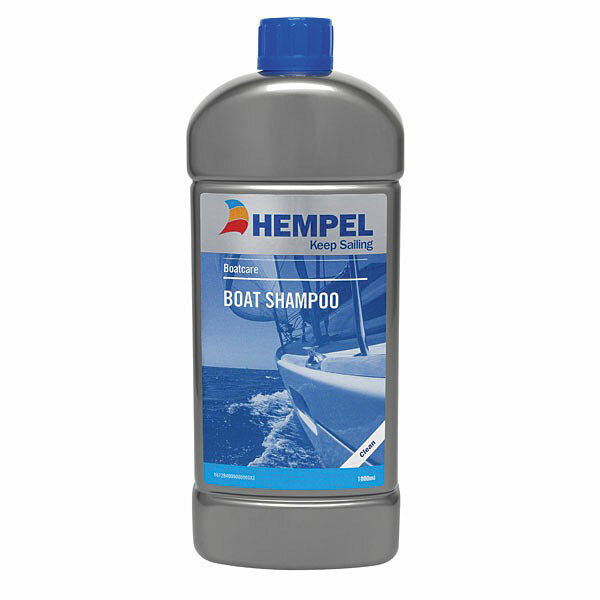 Chandlery shelves groan under the weight of ‘boat wash’ products, which are primarily intended for cleaning black marks and dirt from the smooth hull and superstructure surfaces. However, these products are cheaper than the dedicated non-slip deck cleaners, and will last longer as you have to dilute them for use. to 10 parts fresh water. Apply with a soft brush, sponge or cloth. Leave for five minutes then rinse well with fresh water. What we found: Mixed in a bucket and applied with a sponge to the deck, this did a good job of cleaning the relatively smooth deck paint. On the moulded non-slip, it required more scrubbing with a hard brush to remove the ingrained dirt. What the instructions say: Pour a capful into a gallon of water, apply with a clean sponge. Rinse off. It won’t affect any wax coatings on nearby gel coat. The Gel Wash was particularly effective on the deck paint, but less so on the moulded non-slip. The fact that it doesn’t affect wax-polished surfaces is a plus. It worked well on surface dirt, less well on ingrained dirt. 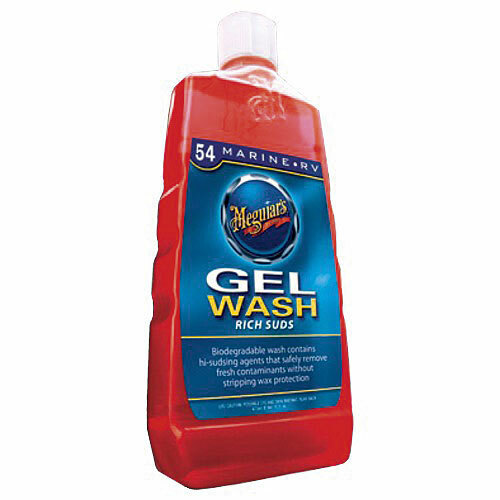 What we found: As with the other shampoos, this was effective on the surface dirt but less good on the ingrained stuff without heavy scrubbing. What the instructions say: Dilute three capfuls in a bucket of water… apply with a sponge and rinse off. Again, this was good on the surface dirt on both the painted deck and the moulded non-slip. It was less good at the ingrained dirt in the moulding, but it did a reasonable job when scrubbed with a hard deck brush. 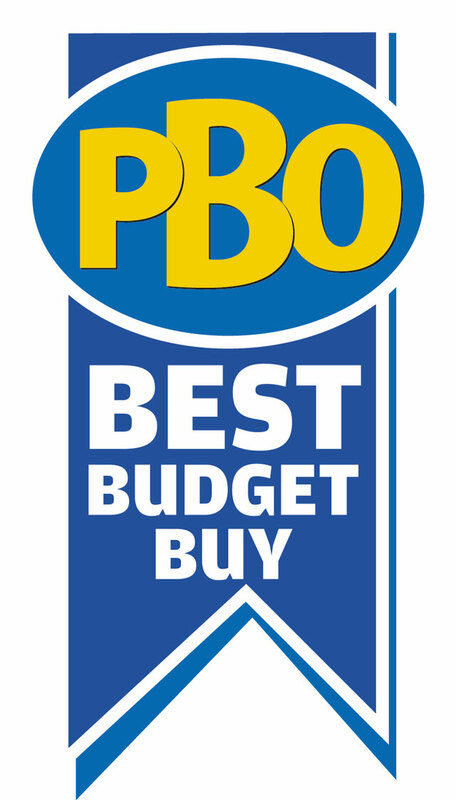 We thought we should also try some household products which, at a fraction of the price of dedicated deck cleaners, might offer a good budget solution. 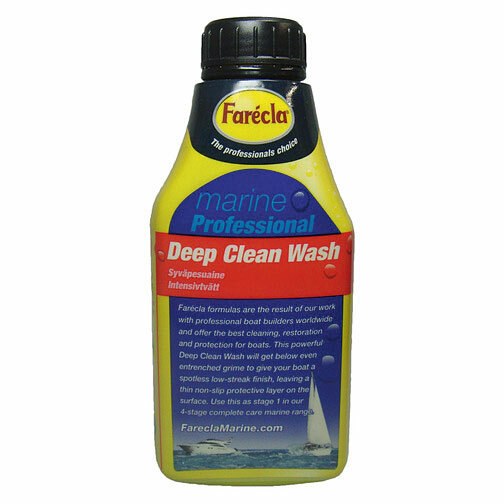 What the instructions say: Apply to surfaces with a damp cloth or sponge, wipe over and rinse away. 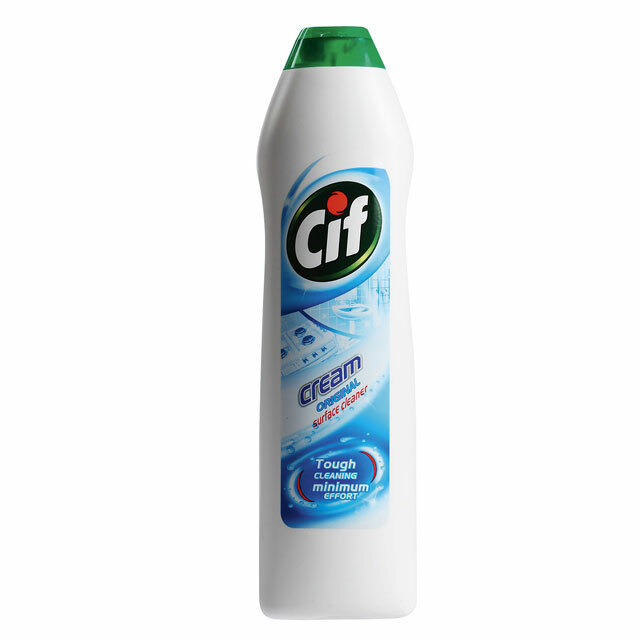 What we found: Used with a hard deck brush, Cif was effective on the surface dirt, but less so on the ingrained dirt. Hard scrubbing with a hand brush tackled the ingrained dirt more effectively, and it was particularly effective on stubborn stains when used with a scourer. Cream cleaners are mildly abrasive and if not rinsed off thoroughly will leave a chalky residue. What the instructions say: Apply to surface, wipe over and rinse immediately. What we found: We could find no difference in application between this and the more expensive Cif product. It was effective on the painted surface at removing stains, often just requiring a sponge, but on the deeply ingrained dirt on the moulded non-slip it needed some elbow grease and a hard brush. 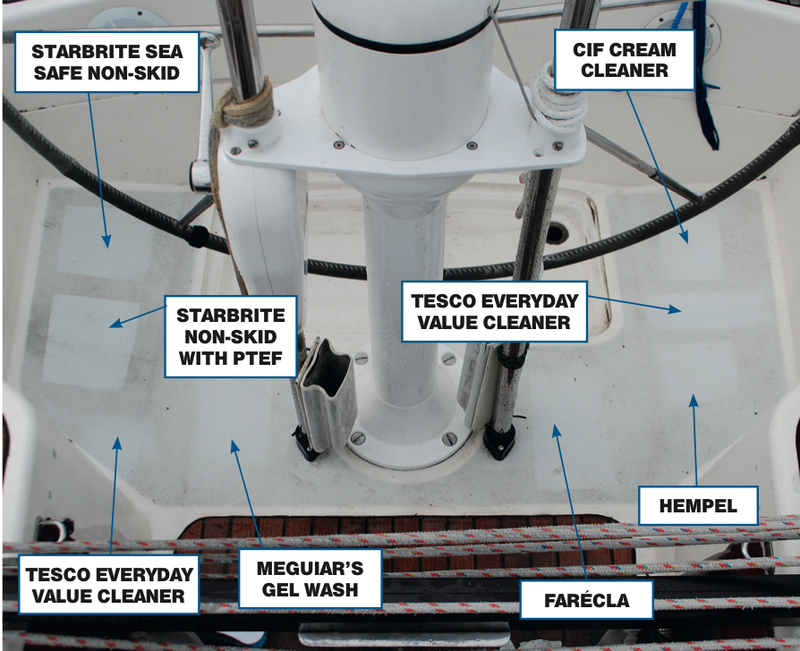 Of the products tested, Starbrite’s Boat Wash, Sea Safe Deck Cleaner and Meguiar’s Gel Wash claim to be eco-friendly meaning you can wash your boat afloat with greater peace of mind. Environmental awareness programme The Green Blue advises that you should especially avoid detergents containing phosphates, which can lead to nutrient enrichment and algal blooms. Other degreasers can dry the natural oils that fish need for their gills to take in oxygen, so use an eco-friendly product wherever possible! Each product we tried made the decks noticeably cleaner, with varying degrees of effort. The two specific non-skid deck cleaners needed the least effort – and the longer they were left, the more effective they were. They were best on the deep non-slip. On the minus side, they are relatively expensive. There was very little difference between the shampoo products, but Meguiar’s Gel Wash edged ahead due to its good results on the painted deck and the fact that it won’t strip the wax from gel coat. The cream cleaners needed more elbow grease, but got the decks clean at a fraction of the cost of the other products. If you’re on a budget, the Tesco Everyday Value Cream Cleaner will suffice – but will need more frequent use than the non-skid cleaners, which leave behind a protective coating. The shampoos are good for general surface cleaning, but if you’re looking to shift more stubborn stains, one of the creams or non-skid cleaners are your best bet.